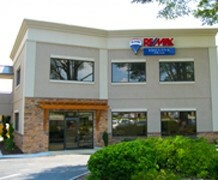 Our Cornelius, Lake Norman RE/MAX Executive Office is located on the outskirts of Charlotte, about 20 miles North of downtown. Lake Norman attracts many luxury buyers and sellers looking for a relaxed yet upscale lifestyle. The community is growing with many new projects approved and ready for development. Cornelius was selected as the most affordable suburb in NC for 2009 by Business Week.